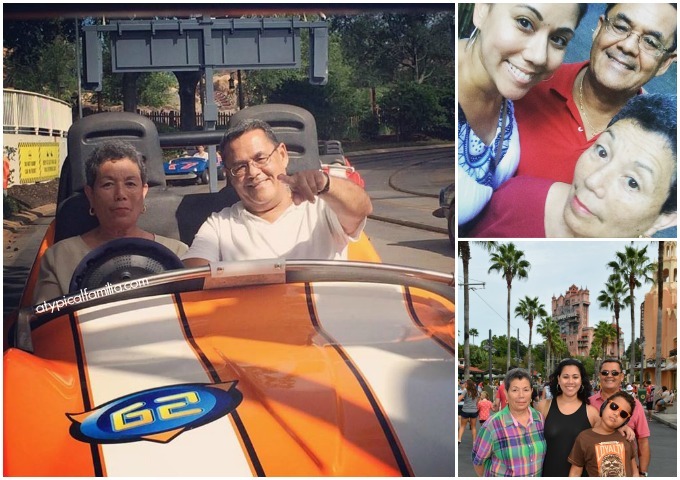 There is something extra magical about Walt Disney World with Grandparents especially when it’s their first time. I kept insisting they’d love it and to convince them, I may or may not have played the only grandchild card. Last October we took our 4th trip to Walt Disney World. And it was extra special because we went with my parents and my younger sister. I knew my sister would love it but I wondered about my parents. I thought they would just enjoy walking around, maybe seeing some of the shows but I really wasn’t expected them to get on any rides. 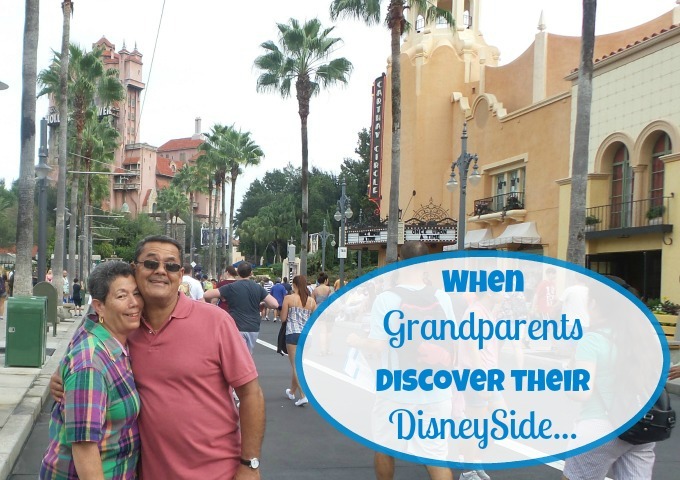 Visiting Walt Disney World with Grandparents was more fun than I could’ve ever imagined. Not only did my parents discover their DisneySide BUT I got to see more of Walt Disney World with them than ever before. It’s Tough to be a Bug! and The Festival of the Lion King (Disney’s Animal Kingdom). All these were firsts for me and probably something I would have skipped if not for visiting with my parents. But it was so hot, that we jumped at any opportunity to escape the heat. I’m so glad we did because the shows were so much fun and it was something that we all enjoyed. I don’t know why we never saw any of the shows before but they are going on my must-do at Disney list. Also, a Magic Kingdom first (for me) was taking the log raft over to Tom Sawyer Island – which my parents loved. It was just a cool (and quiet) place to just wander around and relax. It was cute to see my parents going on rides together. Their favorite was The Great Movie Ride at Disney’s Hollywood Studios (they did that twice) and my mother loved Soarin’ at Epcot. I even got my dad to ride the Seven Dwarfs Mine Train (he did not like that). And my mom had a blast behind the wheel on Tomorrowland Speedway. When I first asked them about going to Disney, they didn’t believe that there would be anything for them to do. And the days leading up to our trip, I was even a little worried that they may not have fun. But they loved Disney World as much as I hoped, maybe even more. I was surprised at their willingness to try things, to get out of their comfort zone. It was nice to see them having fun, to hear them laugh and to be in awe of Disney magic. They were like little kids…Disney has a way of bringing out the kid in all of us. When I was a kid I dreamed about my parents taking us on a Disney World vacation. 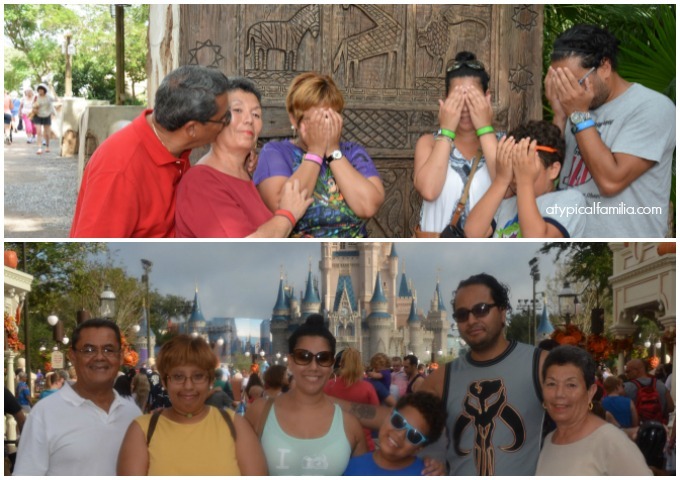 Experiencing Walt Disney World with them now, as an adult, as a mom was so much better. It was a vacation worth waiting for.